This dreamy top is sure to elevate any look doll. 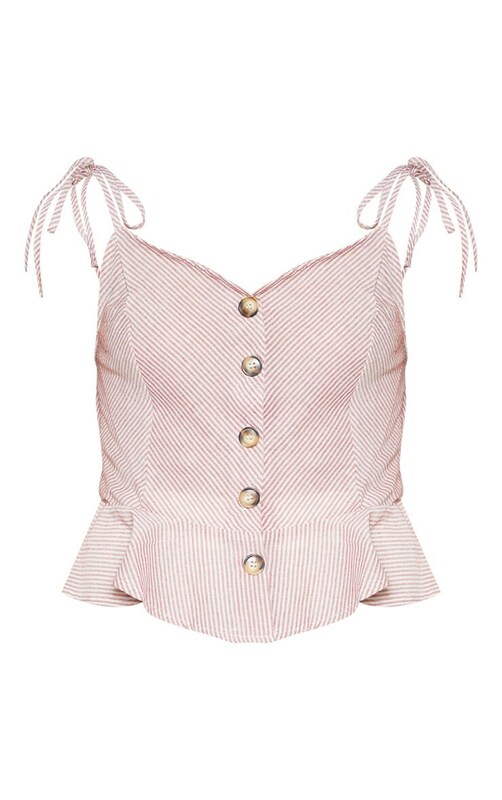 Featuring a red striped fabric with a button up front, strappy detailing and a peplum hem, what's not to love? Team with a cream mini skirt and slip on sandals for a look we're loving.